I had such a magical day at Niki de Saint Phalle’s Tarot Garden in Tuscany, Italy last week. 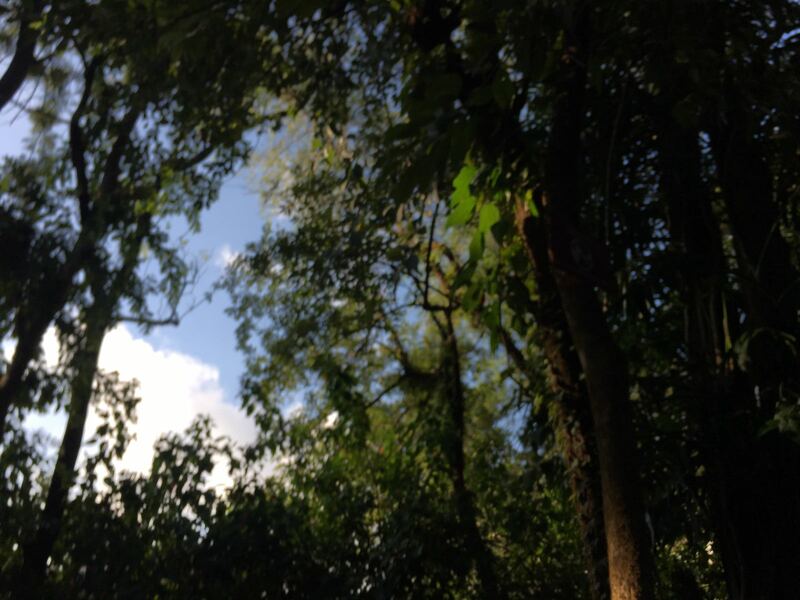 I visited the garden lots of times as a child, and it’s still just as inspirational for me now as it was then! 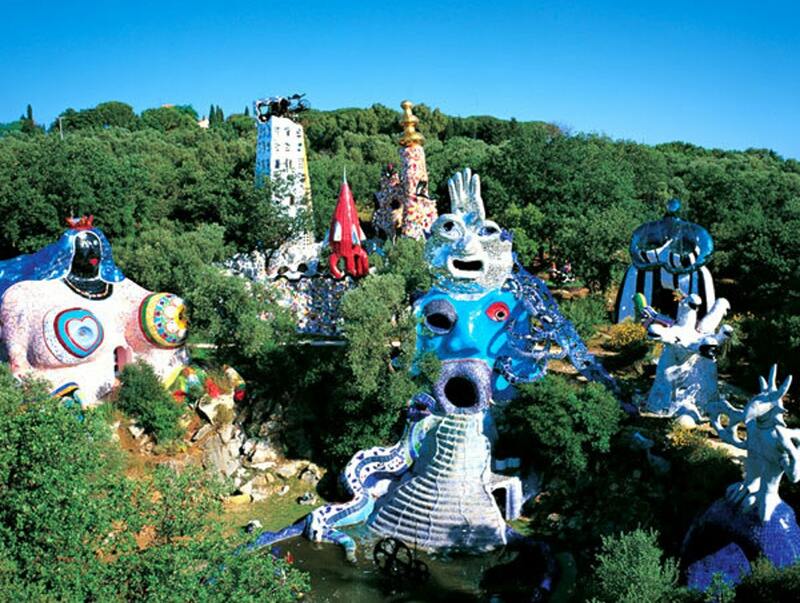 Find out more about Niki de Saint Phalle’s amazing Tarot Garden here. Living in a big city such as London comes with many difficulties and downsides but there are also some amazing upsides and perks to living in this crazy, big, expressive city. For me, one of the things that really reminds me how great it is to live in a big city such as London, is going to fantastic exhibitions in London’s iconic galleries. 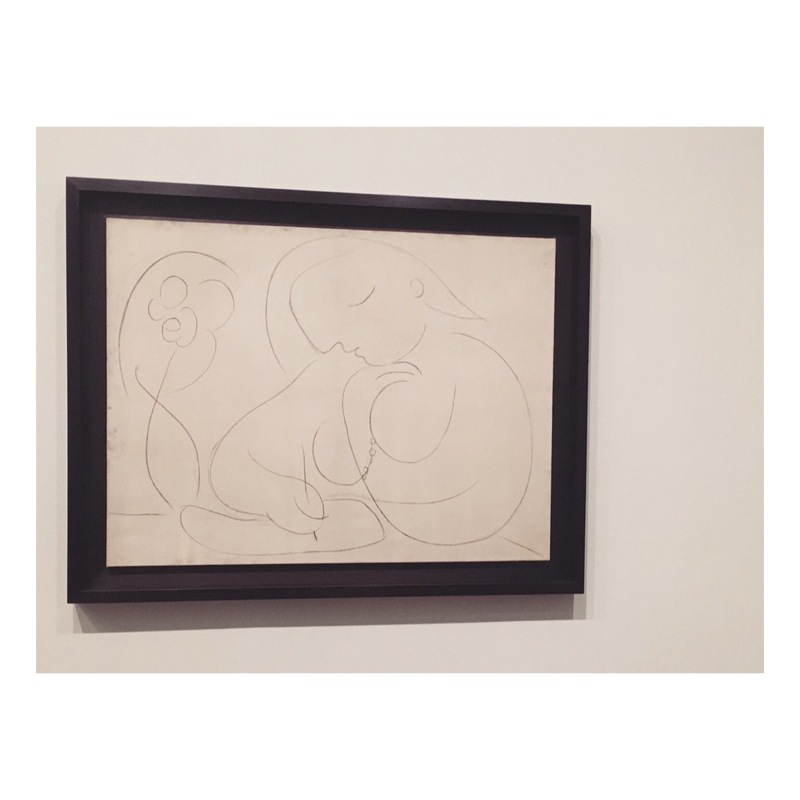 My most recent visit took me to the Picasso exhibition at the Tate Modern. If you haven’t been you really should. But don’t worry you have time, it’s on until 9th September! The exhibition shows work purely from one year of Picasso’s life – 1932. This particular year was very important for Picasso and was marked by many social, romantic and political events. I think it’s safe to say that Picasso was prolific in the amount of work he produced in this year. Room after room you can see how his style changed, adapted and developed within a year. For me, it’s a rare privilege to be able to see such a concise collection of an artists’ work carried out in only one year. It’s also amazing to see an example of the journey one can go through in such a short time in terms of relative process and style. On a personal note, I left the exhibition inspired by the way that Picasso was able to produce so much work in a short time and wanted to see if I could achieve the same. The exhibition showed me that sometimes the most simple of sketches and ideas can turn into great masterpieces. That even a sketch is important and nothing ever should be thrown away or treated as if it’s not worthy of praise. 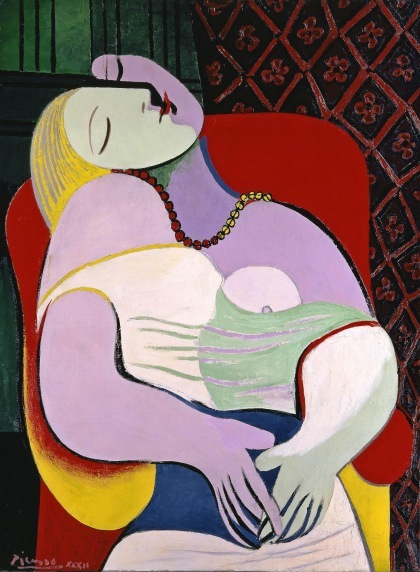 Have you attended Picasso’s exhibition at the Tate Modern? What were your thoughts? 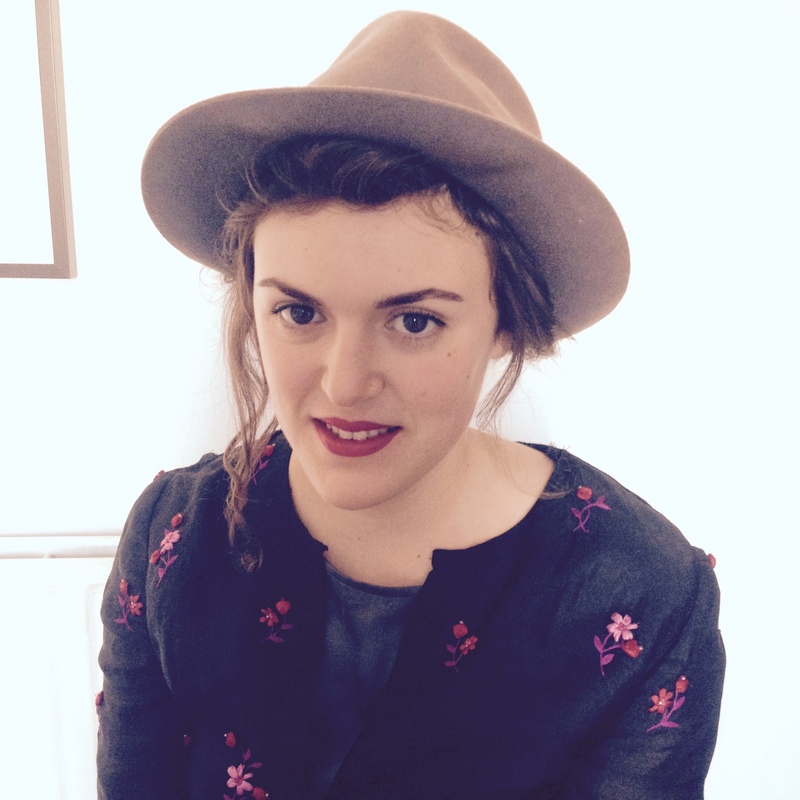 I’d love to hear from you if there were aspects of the exhibition that resonated with you! It’s not often that I go to an exhibition and leave absolutely blown away to the point where I am left almost speechless! 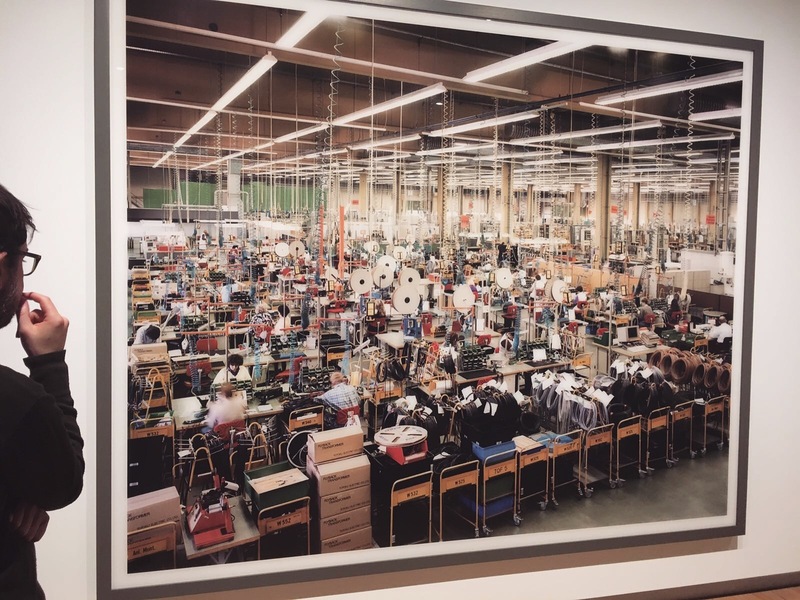 As I stood in front of one of Andreas Gursky’s photographs at the Hayward Gallery last Friday, I could almost feel the tears running down my face. I hadn’t actually been to the Hayward Gallery on the South Bank for a long time. In fact, I was unaware that the Hayward Gallery had recently been renovated. The building itself is a superb place to check out exhibitions and definitely a gallery I would now highly recommend. 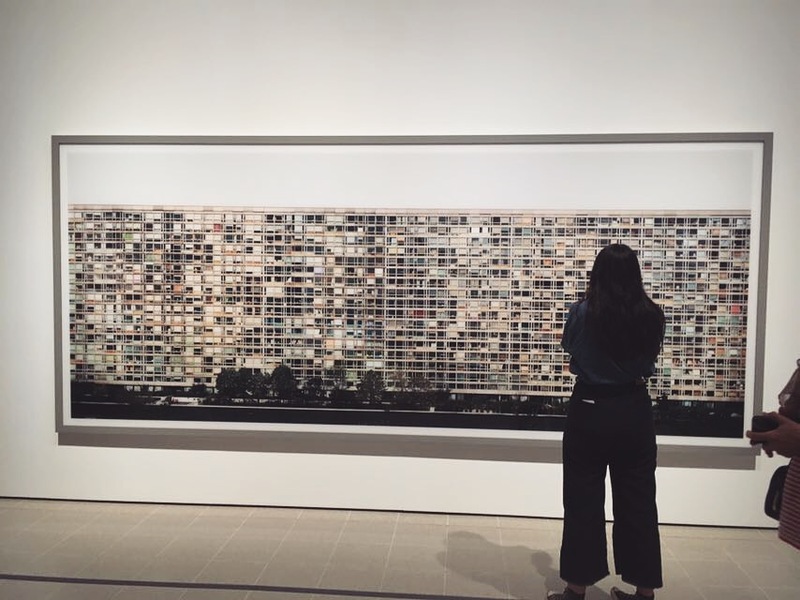 Before I visited the exhibition I also wasn’t familiar with the Photographer Andreas Gursky’s work, so I really didn’t know what to expect! One of the things I found so inspiring about his exhibition was that many of the subject matters he was inspired by are things that would also inspire me to paint. For example, one of my favourite pieces of his features two different photos of a block of flats joined together and altered using digital post-production. This grand piece, in my opinion, is extremely inspiring and profound. Many times I have looked at or even photographed similar looking apartment blocks whilst thinking, this could be the source of inspiration for a painting one day. Many of his wonderful photographs are densely patterned and sometimes they even strained my eyes (in a good way) as there is so much to look at and take in. 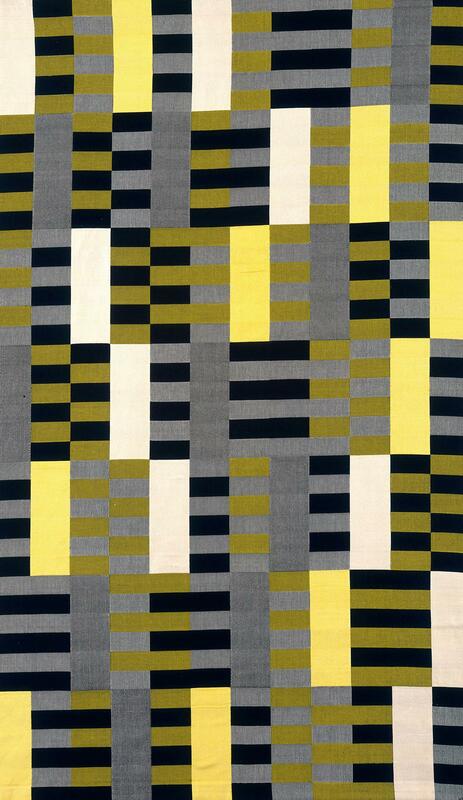 As an artist I love shape, pattern and colour. Gursky managed to create amazing patterns just by photographing crowds in different world situations; such as capturing hundreds of people at a rave, working woman weaving in a factory, or a big crowd of people in a stock exchange. For the people in the photograph, they are just going about their normal daily lives. But photographed in this way and then viewed from an outside perspective, these crowds form patterns which are beautiful and present an image that may be quite different to the reality of the situation. I could go on writing about the exhibition for hours but I really don’t want to give too much away as I think that the magic of an exhibition is to draw your own private experience and perspective. The exhibition finishes on 22nd April so I highly recommend going before then! 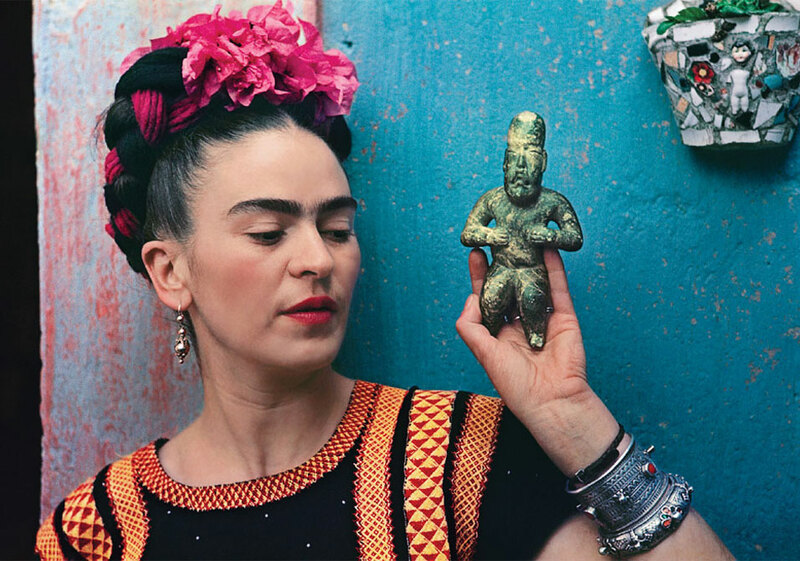 Have you been blown away by an exhibition? 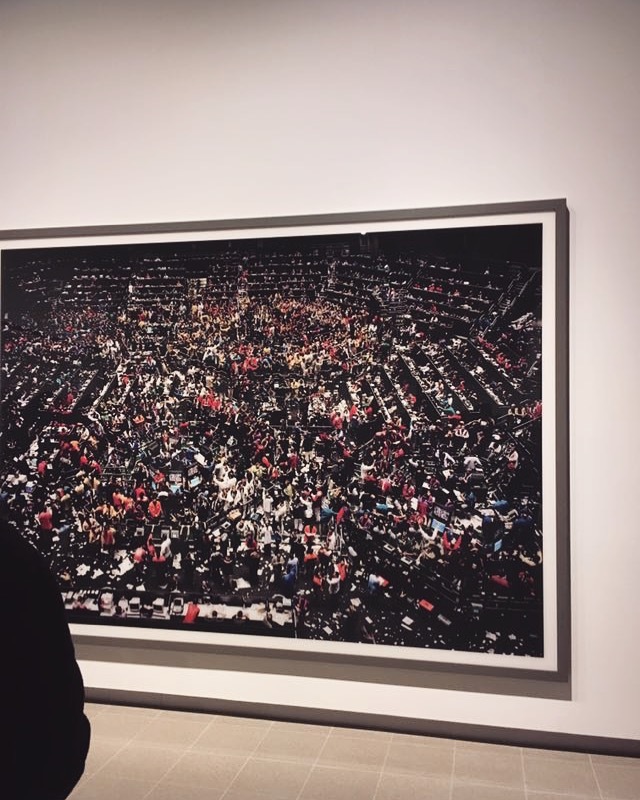 Has Andreas Gursky’s work moved you in a different way? If so, comment below or get in touch, I’d love to hear from you and open a discussion on the impact of exhibitions like Andreas Gursky’s! Last week I finally managed to go and see the Robert Rauschenberg exhibition at the Tate Modern. Being one of my favourite artists and having studied his work whilst I was at school, I was desperate to go and see the retrospective exhibition. But you know what life is like in a big city like London, work gets on top of you and it’s extremely hard to fit in things for one’s self! Having seen an exhibition of Rauschenberg when I was very young in Paris, he has always been an artist that has been at the back of my mind. 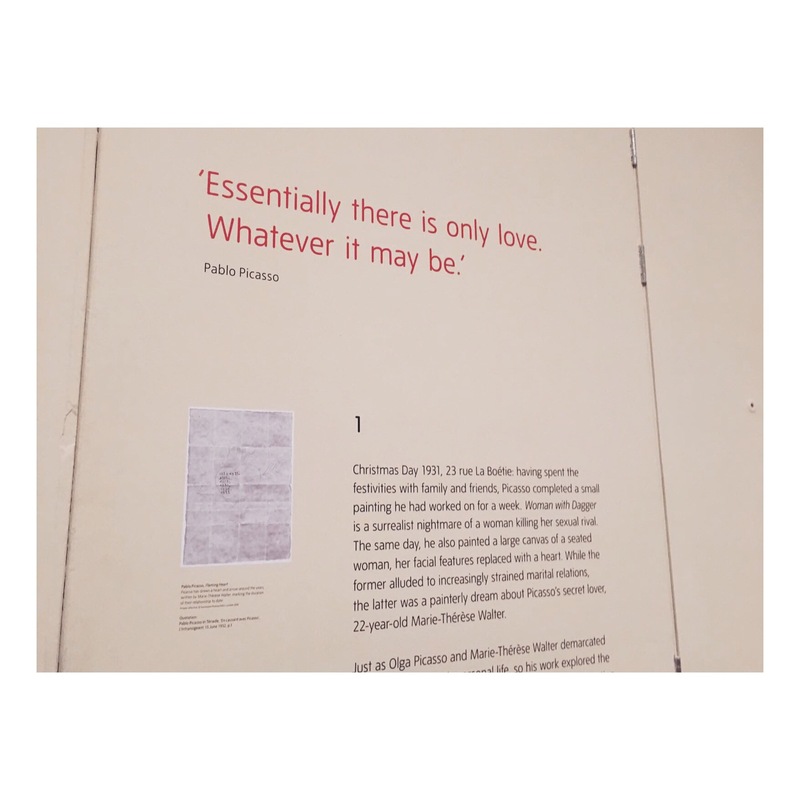 While I was at this exhibition at the Tate modern I found it really interesting to see the similarities in our work. When I make a painting I tend to use whatever materials I can find around me, such as my boyfriend’s old CDs, bits of fabric from my studio mate, nails on the studio floor or anything else I can find. I like being inspired by objects around me that might otherwise be thrown away and reusing them by incorporating them into my paintings in an organic and natural way. 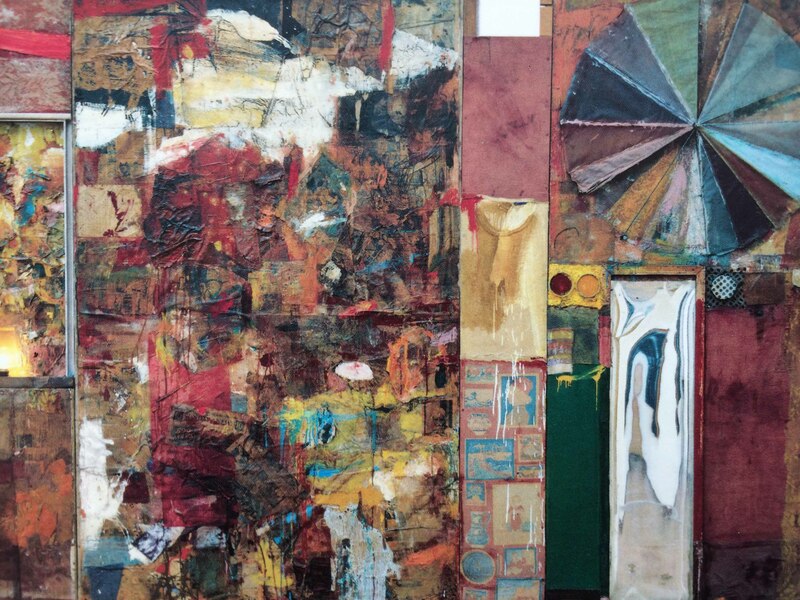 With Rauschenberg – one of the key themes, especially throughout his earlier work, was his use of found materials. 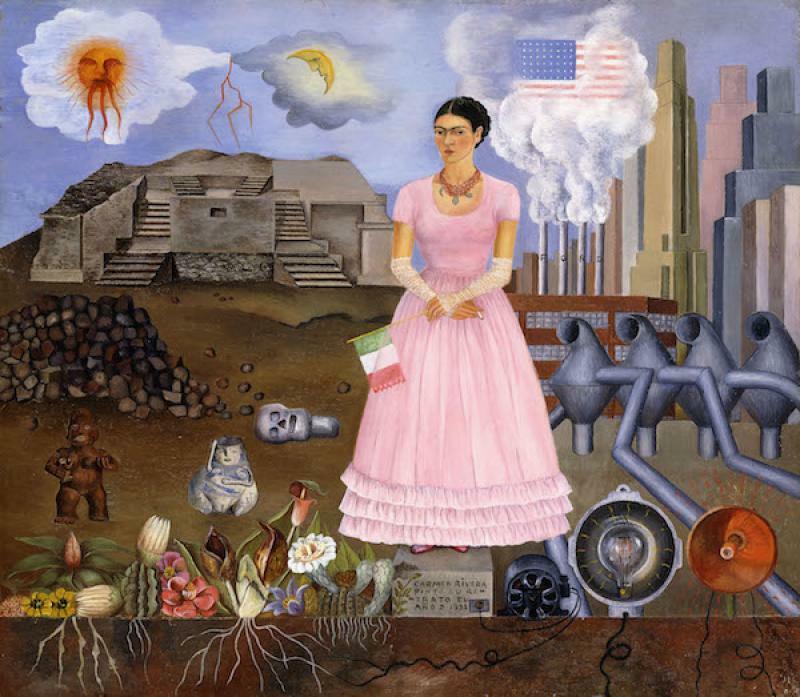 The curators of the exhibition described his work as connecting worlds – as he works somewhere in the boundary between humans and human’s stuff. He would find old t-shirts, umbrellas, old lights, radios and incorporate them all into big pieces of work. He would then drop paint onto the canvas and dramatically change the aesthetic of the piece. 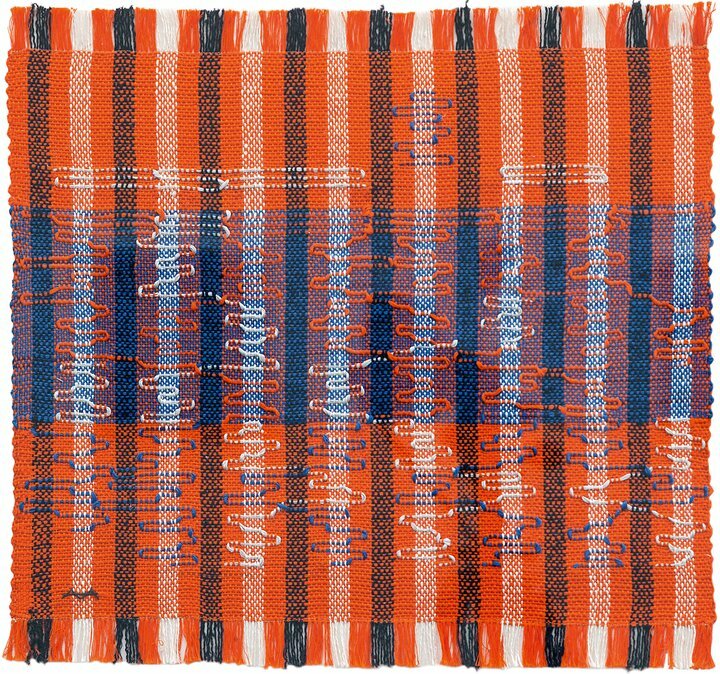 Another side of Rauschenberg that really excited me was his collaborations with musicians John Cage and the choreographer Merce Cunningham. 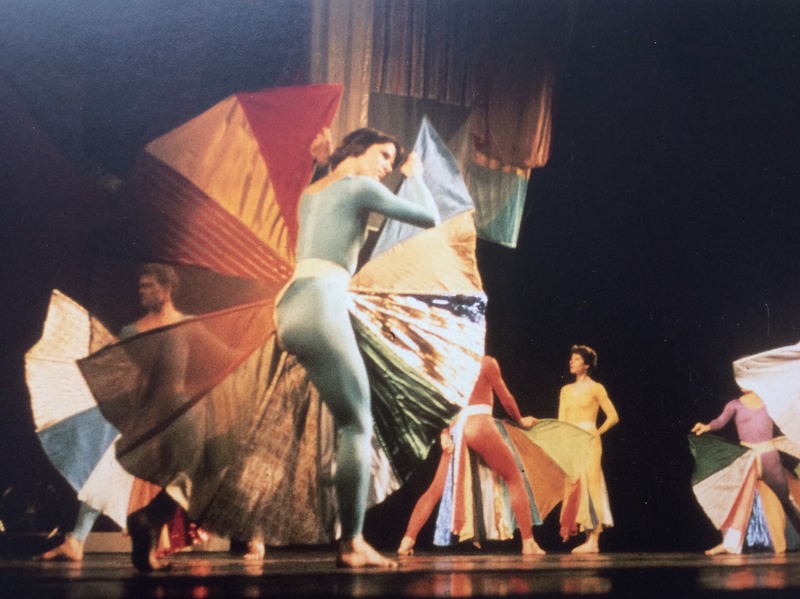 Rauschenberg would make these wonderful colourful set pieces, and Merce Cunningham would choreograph the dances and John Cage would write the music. This interaction between music, dance and art is something that I find extremely interesting and inspiring. It’s really really exciting when the boundaries between the different art forms become blurred. On a personal note, in my studio – I am an artist, my social media manager Jess is a musician, and my Sales Manager Leanna is a dancer. Because we have different creative backgrounds, we bring different ideas to the table. We work together harmoniously in a way where our skills are balanced and in tune with one another. So, basically what I am trying to say is you should really go and see this exhibition before it finishes on 2nd April 2017. It’s fantastic and I would definitely advise getting the headset – it was super informative!